Boston Market has been providing home style meals since 1985, featuring their signature rotisserie chicken. All natural chicken that is fresh, never frozen. It is chicken at its best. Enjoy it within a salad, sandwich or our most popular individual meals, served with freshly prepared side dishes and cornbread. And with turkey, meatloaf and brisket, there are thousands of meal combinations for everyone to enjoy at Boston Market. If you plan on hosting a party or event, you can trust Boston Market to provide catering options that fit your needs. 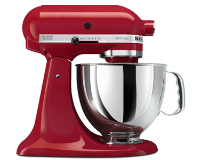 So you can spend more time with friends and family. Visit www.bostonmarket.com/locations to locate the Boston Market nearest you. * You may reload your card at any Boston Market restaurant. 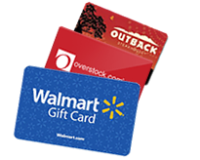 * Your Boston Market gift card may only be used to make purchases at Boston Market restaurants. It may not be redeemed for cash. * The amount on this card will not be replaced if lost, stolen, destroyed, altered or used without your permission. * This card does not expire and no dormancy fees will be charged. * Use of this gift card constitutes acceptance of the terms and conditions. 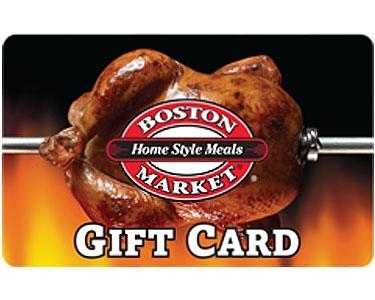 For more information about the Boston Market gift card, visit www.bostonmarket.com/card.